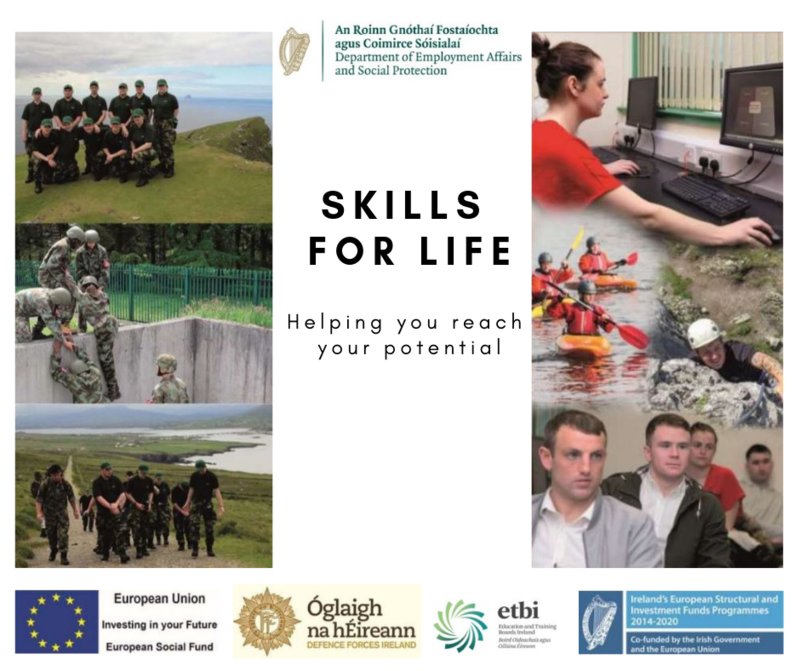 In conjunction with the Defence Forces and the Dublin & Dún Laoghaire Education & Training Board, the Department of Employment Affairs and Social Protection are offering a fantastic opportunity to 18-24 year old Jobseekers to learn more about yourself while adding to your skills and getting recognised qualifications. This 10 week programme is being facilitated by Gormanston Army Camp starting 10th June and running until 16th August 2019. This is an ideal opportunity to boost your self-confidence, physical fitness and revamp your CV with sought after skills including a reference from the Defence Forces upon successful completion of the programme. Your pockets will also receive a boost with eligible clients receiving an uplifted payment to €198 per week (depending on means) for the 10 week duration of the programme.